Attackers work day and night thinking up new ways to bypass IT security. That’s why achieving the best email security possible should be a top InfoSec priority. 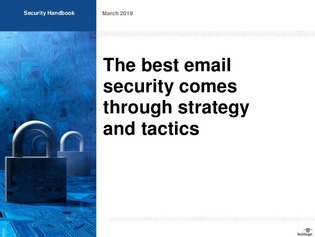 But, effectively tackling email security issues requires InfoSec pros to address a broad range of areas, including cloud, endpoints, user training and more.